When the temperature dips and fresh snow falls, New Brunswickers know that it’s time to get out and make the most of the season. New Brunswick is a gorgeous destination throughout the winter and is an oasis for winter outdoor enthusiasts. Here are 7 activities that are perfect to help you make the most out of the New Brunswick winter. One of the most popular winter activities in Canada is skiing. New Brunswick is home to 2 ski hills, which are perfect for outdoor enthusiasts. Poley Mountain is known as a family-friendly mountain is located approximately 10 kilometers from Sussex, New Brunswick. This ski hill is centrally located between Moncton, Saint John, and Fredericton. Poley Mountain is home to 32 developed trails, including trails for all levels and 5 lifts. This hill also features a modern ski lodge which includes a cafe, and a bar & grill. 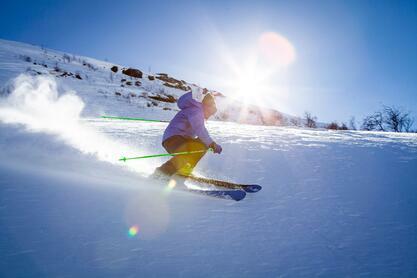 Our Sussex location has partnered with Poley Mountain to offer our guests a Ski & Stay Package. This package gives guests the perfect opportunity to hit the slopes, including 2 full day adult lift tickets, 10% off Poley Mountains Bar & Grill and 1-night accommodation for 2 at Amsterdam Inn & Suites. To learn more about this package click here. Crabbe Mountain is located in Central Hainesville, New Brunswick, about halfway between Fredericton and Woodstock. Crabbe Mountain is home to some of the largest verticals in the maritime's, featuring 21 Alpine Trails, 11 Glades and 3 lifts. During the month of November, the Quispamsis Arts & Culture Park is transformed into a gorgeous display of Christmas lights, which also features an outdoor skating rink. This is a magical experience that the entire family is sure to enjoy. 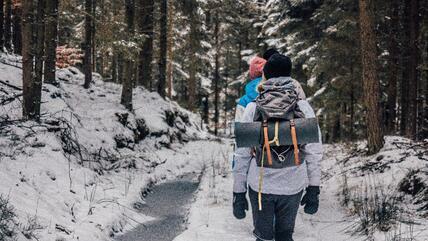 Snowshoeing is a great way to get some exercise in the great outdoors and is a very popular activity among New Brunswickers. Fundy National Park, Irving Nature Park, the Sussex Nature Trail, and the Sussex Bluff are said to be gorgeous snowshoeing locations. The Sussex Bluff Trail is a 3.5-kilometer trail that is located near Sussex Corner. At the peak, this trail opens into a beautiful panoramic view of Dutch Valley allowing you to see Poley Mountain, beautiful rolling hills, and Trout Creek. The Sussex Nature Trail is 4.8 kilometers and follows the beautiful Trout Creek from downtown Sussex all the way to Sussex Corner. The Irving Nature Park is located in Saint John, New Brunswick, close to the urban centre. This environmental retreat is a great snowshoeing destination, featuring trails which are both easy and difficult. Fundy National Park features both groomed and ungroomed trails, with over 18 km of shared trails that are groomed to accommodate snowshoeing, skiing, and fat-tire biking. 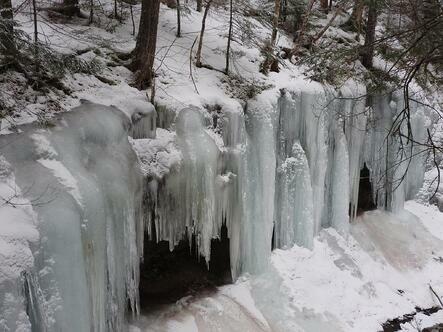 Fundy National Park is a favorite for many local winter outdoor enthusiasts. Fredericton Frostival is a 3-week winter festival, which takes place from January 18th to February 4th. 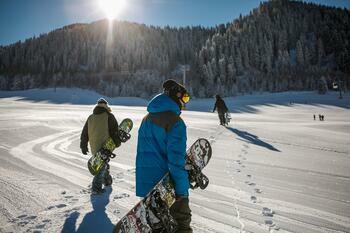 This festival is greatly based around outdoor winter activities and is fun for the entire family. Mactaquac Provincial Park, located just outside of Fredericton, transforms into a winter wonderland full of family-friendly winter activities, including sledding, skating, snowshoeing, and horse-drawn sleigh rides. 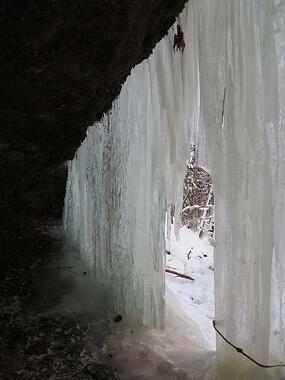 The Midland Ice Caves is a captivating wall of pure ice, nestled away in the forest, which forms naturally each year. The caves are located in Midland, New Brunswick about 20 minutes from the Amsterdam Inn & Suites Sussex. 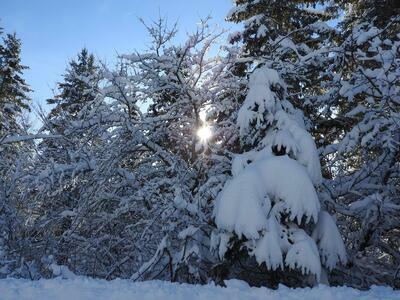 The hike into the caves can be challenging and is often done with the help of snowshoes. Not only are the ice caves beautiful to look at from afar, but an opening is also broken so you can go inside the caves. Inside the cave is often described as magical and unlike anything you have ever seen before. Although Hockey is not an outdoor activity it is a great Canadian activity that the entire family will enjoy. New Brunswick is home to 3 Quebec Major Junior Hockey League teams, including the Saint John Sea Dogs and Moncton Wildcats. 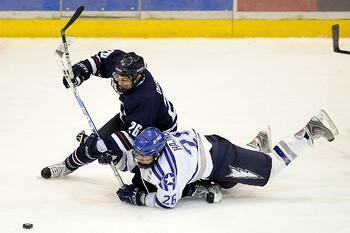 The Saint John Sea Dogs play at Harbour Station in Saint John. The Sea Dogs became the first team from Atlantic Canada to win a Memorial Cup championship, with a 2011 Memorial Cup victory. The Moncton Wildcats now play at the Avenir Centre in Moncton, which is a new event centre. When signs of spring appear, visit a sugar shack and delight your taste buds. Elmhurst Outdoors is located just outside of Belleisle, NB. 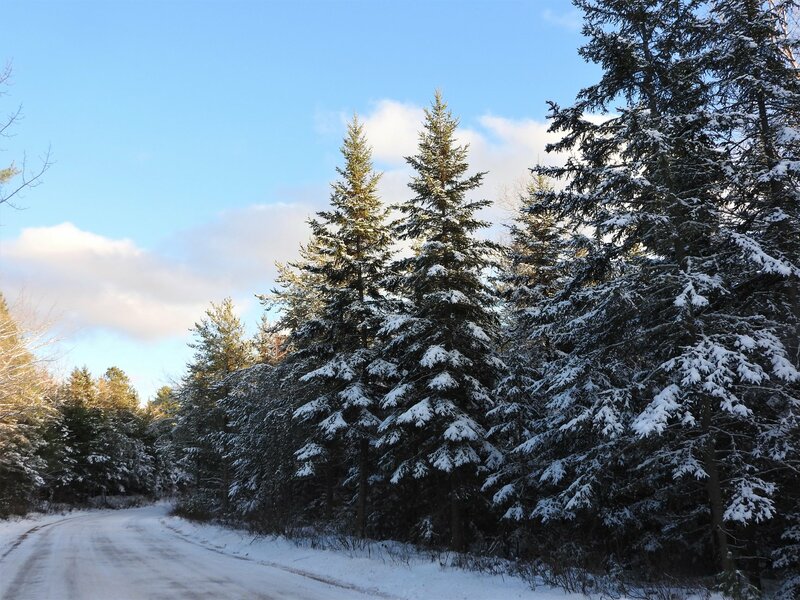 This unique experience allows you to learn about the history of sugar making, the process of turning sap into syrup and to taste a delicious Maritime delicacy, sugar-on-snow. 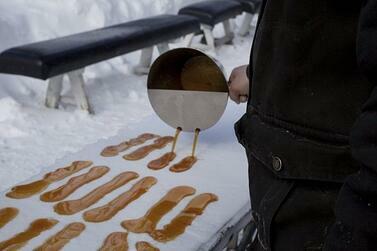 Tours of the Maple Sugar Shack take approximately 40 to 45 minutes. After your tour, you can enjoy a tasty pancake and sausage breakfast with maple syrup that was produced on site. New Brunswick is an absolutely stunning winter destination. The Amsterdam Inn & Suites have 4 locations conveniently located across the province, which are perfect for your winter getaway! 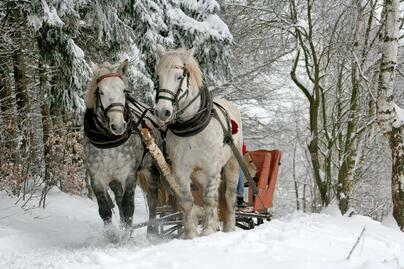 Book your winter getaway today at amsterdaminns.com. When doing outdoor winter activities remember to dress warm, try to stay dry, and notify a friend or family member when and where you are going. Stay tuned for our next blog post and remember to check out our packages! Browse our properties and find a room for your upcoming trip!